Welcome to the World of the iPad! Training seminars on the use of iPad Apps, Wilton, Norwalk & Greenwich, CT, April, May, June & August, 2011. Autism is a movement disorder (with Mary Elizabeth Parker, M.S./P.T.). Invited presentation to the Current Trends in Autism Conference, Boston, MA, April 29-30, 2011. Strategies that influence children’s behavior. Invited presentation to the 5th Annual Childhood Conversations Conference, Windsor, CT, April 2nd, 2011. Kinematic analysis of autism as a movement disorder. Invited presentation to the American Physical Therapy Association National Conference, New Orleans, LA, February 10-11, 2011. Promoting the behavioral growth of disabled toddlers. Invited presentation to the Special Education Resource Center of Connecticut, Middletown, CT, January 11th, 2011. An overview of evaluations and interventions for autism and other developmental disabilities. Invited lecture series sponsored by SPED*NET, Wilton, CT, monthly lectures from October, 2010 to June, 2011. Influencing Behavioral Growth in Preschoolers: The “Big” Picture. Invited presentation to the Special Education Resource Center of Connecticut, Middletown, CT, February, 24, 2010. Proactive Engagement of Aggressive and Confrontational Events (PEACE) with children. How do you draw the line on difficult behavior? 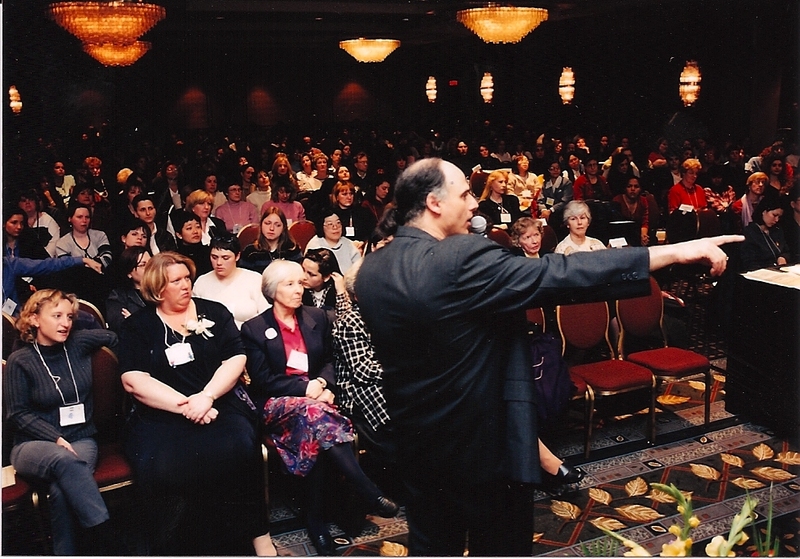 Invited presentation to the Current Trends in Autism Conference, Boston, MA, November, 6-7, 2009. From brain to action in autism. Invited presentation to the Texas Physical Therapy Association Annual Conference, Austin, TX, October,15-18, 2009. Is there a correlation between language and movement disorders and hypergraphia/hyperlexia? Rethinking the “core” deficits of autism. Invited presentation to the Translating Autism Spectrum Disorders: Bench to Bedside and Beyond, Fairfield University, Fairfield, CT, June 2, 2008. From the brain to behavior management – an interdisciplinary integration to understanding (and influencing) Autism. Invited 2-day workshop to the Miriam Foundation & Abe Gold Learning and Research Centre, Montreal, Quebec, May 1-2, 2008. Autism as a movement disorder: implications for understanding hyperlexia and literacy. Invited presentation to the Current Trends in Autism Conference, Burlington, MA, April 11-12, 2008. The integration of strategies and services in the education of students identified on the autism spectrum. Invited presentation to the Hall-Brooke Continuing Education Symposium, “Understanding Autism: 2008,” Westport, CT, February 7, 2008. 13 Strategies that influence children’s behavior. Invited presentation to the 12th Annual Current Trends in Autism Conference, Dedham, MA, March 24-25, 2007. Autism as a movement disorder: Implications for educational programming. The Hunter College Autism Center and Department of Education, Hunter College, New York City, December 11, 2006. From tics to tacts: behavior therapy across the developmental spectrum (with Sheldon H. Wagner, Ph.D.).. Invited presentation, 11th Annual Current Trends in Autism Conference, Dedham, MA, October 28-29, 2005. 15-years after the Facilitated Communication controversy: what we have learned about literacy in ASD. Invited presentation, 11th Annual Current Trends in Autism Conference, Dedham, MA, October 28-29, 2005. Multi-disciplinary thinking about behavior management: why we have to work together. Invited Presentation, Cosa Colina Annual Conference on Autism, Pamona, CA, March, 5-6, 2005. Behavioral interventions to promote social awareness, social concern, and interpersonal relations (with Sheldon H. Wagner, Ph.D.). 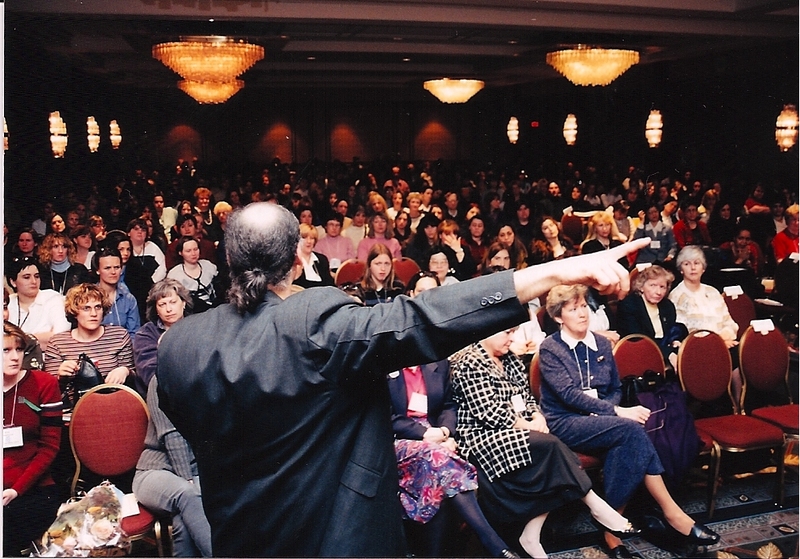 Invited Presentation to the Annual Current Trends in Autism Conference, Danvers, MA, October 29-31, 2004. Ten common “parenting traps” in raising children diagnosed with Autism (with Sheldon H. Wagner, Ph.D.) Invited Presentation to the Annual Current Trends in Autism Conference, Waltham, MA, November 1-3, 2003. “Practicing Life”: difficulties out in public, transitions, extending language and promoting social awareness as illustrations of how to design “behavioral field trips.” (with Sheldon H. Wagner, Ph.D.) Invited Presentation to the 8th Annual Current Trends in Autism Conference, Waltham, MA, November 1-3, 2002. Behavioral Change and Developmental Growth: Behavioral Interventions from ADLs to Social Skills Curricula (with Sheldon H. Wagner, Ph.D.). Invited presentation to the Current Trends in Autism Annual Meeting, Danvers, MA, November, 2001. Promoting a Child’s Developmental Potential (with Sheldon H. Wagner, Ph.D.). Invited presentation to the Current Trends in Autism Annual Meeting, Danvers, MA, October, 2000. Real Families: behavior management in the real world. 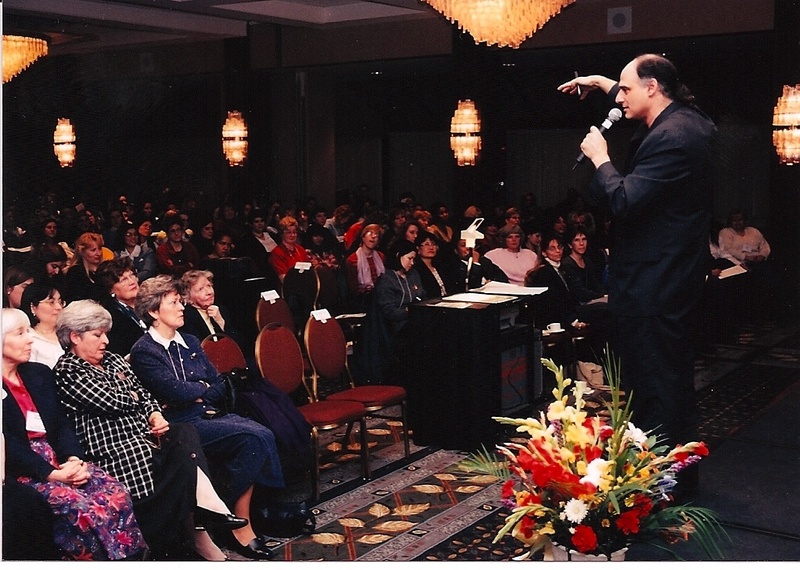 Invited lectures to the Early Childhood Educators of Quebec Annual Conference on Child Development, Montreal, Quebec, Canada, April, 2000. The autistic/PDD child at home and at school (with Margaret L. Bauman, M.D.). Invited lecture Series to the Association for Continuing Education Chicago, IL, May, 1999; Minneapolis, MN, October, 1999; Philadelphia, PA, October, 2000; & St. Louis, MO, April, 2001. The Yin and Yang of Behavior Management. Invited lectures to the Arkansas Autism Society Annual Conference, Little Rock, AR, October, 1998. The autistic/PDD child at home and at school (with Margaret L. Bauman, M.D.). Invited lectures to HealthSouth Braintree Rehabilitation Hospital, Braintree, MA, May, 1998. Movement differences and hidden competencies. Invited pre-conference symposium (with Sheldon H. Wagner) to the annual meeting of The Association for Persons with Severe Handicaps (TASH), Boston, MA, December, 1997. Behavior management: issues from sensory development to self-esteem. Invited presentation to the LADDERS/Massachusetts General Hospital conference on Autism, Boston, MA, December, 1997. Timing and synchrony: understanding infant attention, movement, intelligence, and developmental disabilities. Invited presentation to the Vygotsky lecture series, University of the Humanities and Moscow State University, Moscow, Russia, October, 1996. Behavior management in the new era of Autism. Invited presentation to the Texas Statewide Conference of the Autism Society of America, Corpus Christi, TX, September, 1996. Movement differences and diversity in Autism/Mental Retardation (with Anne M. Donnellan, Martha Leary, & William Condon). Invited pre-conference symposium to the Autism Society of America 1996 National Conference, “Open Minds, Open Doors”, Milwaukee, WI, July, 1996. Descriptive taxonomy and intervention strategies for Rett Syndrome hand stereotypies. Invited presentation to the Internation Rett Syndrome Association 12th Annual National Conference, “Spirit of ’96”, Boston, MA, May, 1996. A new era of Autism. Invited presentation to the Connecticut Statewide Conference of the Autism Society of America, Storrs, CT, May, 1996. Behavior management: issues from sensory development to self-esteem. Invited presentation to the Dallas Chapter of the Autism Society of America, Dallas, TX, March, 1996. Movement differences and diversity in Autism/Mental Retardation (with Anne M. Donnellan and Martha Leary). Invited symposium to the annual meeting of The Association for Persons with Severe Handicaps (TASH), San Francisco, CA, November, 1995. Behavior management, self-esteem and the moral child. Invited presentation to the Transdisciplinary Workshops meeting, “Children With Difficult Behaviors: Treatment and Management in the Home and in the Classroom”, South Portland, Maine, November, 1995. The “yin and yang” of behavior management. Invited presentation to the 1995 Statewide Conference on Autism and PDD: “An Invitation to the Future…Partnerships for Success”, Austin, TX, August 1995. Timing and synchrony: understanding infant attention, movement, intelligence, and developmental disabilities. Invited seminar series, Department of Rehabilitation and Special Education, University of Wisconsin, Madison, WI, June, 1995. The “yin and yang” of behavior management. Invited presentation to the Massachusetts Department of Public Health, Childhood Lead Poisoning Prevention Program (CLPPP), “Lead Poisoning and the Development of Young Children”, Taunton, MA, June, 1995. The “yin and yang” of behavior management. Invited Keynote presentation to the Commonwealth of Massachusetts, Department of Public Health, and Massachusetts Society for Prevention of Cruelty to Children, Eastern Nazarine College, Quincy, MA, June, 1995. The “yin and yang” of behavior management. Invited presentation to the Attention Deficit Information Network Sixth National Conference, Brandeis University, Waltham, MA, May, 1995. Validation of facilitated communication: three case reports. Invited presentation to the Pennsylvania Speech-Language-Hearing Association 36th Annual Convention, King of Prussia, PA, March, 1995. “Developmentally based” behavior management in the home & school. Invited presentation to the Youville Hospital & Rehabilitation Center conference on “Current Trends in Autism”, Wakefield, MA, November, 1994. “Developmentally based” behavior management: Part 1, seeing the big picture and developing a philosophy toward behavior related concerns; Part 2, specific strategies that can help from day to day. Invited presentation to the Commonwealth of Massachusetts, Department of Public Health, Holyoke, MA, October, 1994. Validation of “facilitated communication”: two case reports (co-authored with S. Wagner and M. Bauman). Invited presentation to the Facilitated Communication Institute Annual Conference, Syracuse, NY, May, 1994. Validation of “facilitated communication”: two case reports. Invited presentation to the Commonwealth of Massachusetts Disabled Persons Protection Committee (DPPC), John F. Kennedy Library, Boston, MA, April, 1994. Behavior strategies for preparing young children for an integrated classroom. Invited presentation to Commonwealth of Massachusetts, Department of Education, teacher in-service meeting, Braintree, MA, April, 1994. Facilitated communication: what do we think we know? Northeast Regional Conference on Autism, Manchester, N.H., October, 1993. Behavior strategies for preparing young children for an integrated classroom. Invited presentation to Commonwealth of Massachusetts, Department of Education, teacher in-service meeting, Braintree, MA, April, 1992. 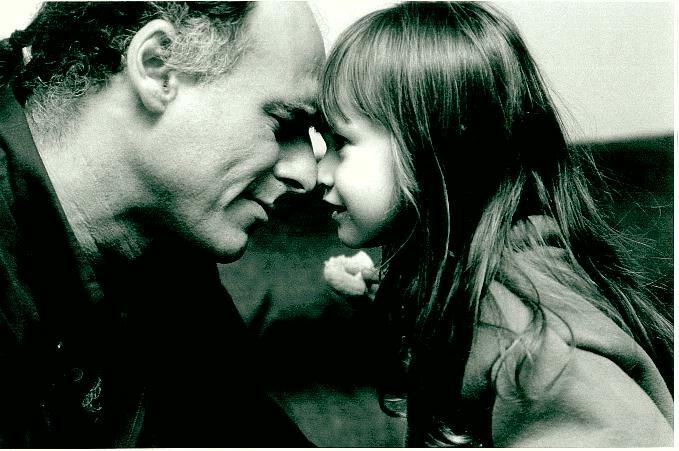 The impact of a Parent As Therapist approach to early intervention. Invited presentation to the Commonwealth of Massachusetts, Department of Public Health, Continuing Education Consortium for Early Intervention Providers, Wellesley College, November, 1989. Biological and experiential constraints on newborn attention. Invited symposium to the Greater New York City infancy meeting (New York Univ., City Univ., Columbia Univ., Albert Einstein Univ., Hunter College, Rutgers Univ. ), February, 1989. Biological and experiential constraints on newborn attention. Invited symposium to Department of Psychology, Yale University, February, 1989. Newborn attention: Considering the nature nurture trade off. Grand Rounds Department of Pediatrics and Neonatology, McGill University Faculty of Medicine, Montreal, April, 1988. Psychological aftermath of neonatal intensive care. Grand Rounds Department of Psychiatry, SMBD Jewish General Hospital, Montreal, March, 1988. Perceptual cognitive development during early infancy. Invited presentation to the Department of Psychology, Concordia University, Montreal, February, 1988. Newborn attention. Invited presentation to the McGill University Montreal Children’s Hospital Research Institute, Montreal, February, 1986. Newborn’s response to auditory stimuli. Invited presentation to the Department of Psychology, University of Massachusetts Amherst, November, 1985. Newborn’s response to auditory stimuli. Invited presentation to the Department of Psychology, Harvard University, November, 1985. Motor development through the first two years of life. Invited presentation to the Study of Movement Center, Boston University, March, 1980.